Opptimo is a comprehensive web-based functional management platform on cloud with mobile compatibility that provides clear real-time visibility and optimum management of people, projects and tasks. Opptimo enables users to schedule tasks that can be tracked real-time. 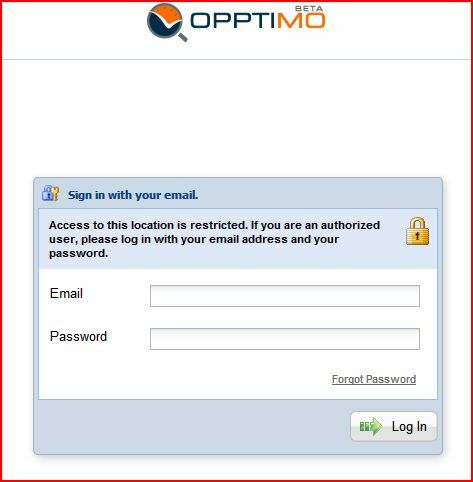 Among other features It provides easy quick communication, reports, monitoring task time, prioritizing, scheduling, establishing milestones, setting alerts and notifications, real time collaboration, to-do lists and basic leave management.Easily deployable Opptimo is a cost- effective, easy to learn SaaSsolution that drives efficiency and overall productivity. Opptimo approaches project and task management from an employee’s perspective. It fullyacceptsthat an employee will have many different tasks during the day, some related to projects, others not so much, but accepting that they all need to be done well to make full use of their time. They also look at unproductive time, like the time spent onpersonal social media, etc. and see how they can guide the employee and management for better utilization of people’s time while keeping them focused on their tasks. There is a concern of feature overload and trying to do too many things at the same time, but their usefulness is undeniable. The company will do well if they integrate this solution offering with other down stream and upstream software tools, which can help drive adoption faster. The features it has at presentis a cost effective offering, making this solution very desirable in this increasingly 'always-on' yet discontinuous work environment of today.